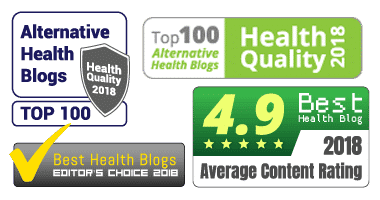 » Does Lemon Balm for Cold Sores Work? People use a variety of over-the-counter remedies for treating cold sores, but it’s sometimes natural ingredients that work the best. By applying lemon balm to the lips, cheeks, nose, and around the mouth, you can soothe the pain and heal the sores/blisters significantly faster. Fever blisters cause embarrassment, and they can also really hurt. After the blister bursts, it will form a yellow-colored scab and crust over. Every time that you open your mouth or scratch the area, you run the risk of it splitting open again. It can be a significant problem. Most people think that drying out a cold sore completely is the secret to faster and safer healing. While this can be true, the skin is more likely to crack open when it is overly dry. This will only prolong the life cycle of a cold sore, and period of suffering. That’s why it’s so important to keep cold sores moist so that it is less likely to happen while you’re recovering. On average, a cold sore will take about 10 to 14 days to heal. Of course, that depends on it not bursting open, cracking, becoming infected, etc. Applying lemon balm to cold sores doesn’t just speed up the healing time, but it can also provide a welcome source of relief. In this article, we’re going to take a closer look at the benefits of applying lemon balm to cold sores. We’ll also explore why it works, and if it’s likely to get results for you. So, let’s take a look at what this natural treatment has to offer. There have been many studies performed where lemon balm was used to treat HSV-1. One study, performed by German hospitals and dermatology clinics, found that lemon balm reduced the chance of cold sores coming back. This occurrence was true when lemon balm was used to treat the sores. In fact, subjects who followed this practice had no flare-ups during the time of the study. But, it can do much more than preventing cold sores returning. Another study (of 116 people) found that lemon balm can reduce the healing time. A cold sore is at its worst after a few days. Once it bursts, it can become unsightly. When using the balm topically, it can reduce redness and swelling. There is a soothing sensation from lemon balm. One of the biggest complaints about cold sores is the pain and discomfort they cause. Because of the nature of the balm, it has soothing properties that can reduce the amount of pain that you experience. Well, lemon balm is a member of the mint family. That explains its soothing, therapeutic, and cooling properties. It also works as an antiviral agent, due to components, called tannins. It cannot completely wipe out the herpes virus. But, it can fight against the unpleasant symptoms of the herpes simplex virus, and prevent it from infecting healthy skin cells. The balm also contains eugenol, which helps to kill harmful bacteria. So, using it topically can help to reduce the risk of a bacterial infection. When a cold sore bursts, it becomes more exposed to potential bacteria. This situation also needs to be managed correctly. Is Lemon Balm Safe for the Skin? Lemon balm is a completely natural herb. It has been used to treat different skin ailments for centuries. For cold sores, it can either be applied as a lip balm, in cream or even taken in supplement form as a preventative measure. There should be no side effects. It’s when you mix lemon balm with other herbs or medicines that the skin can sometimes react adversely. Be aware of other medications, or supplements, that you’re taking. Ask your doctor how they might ‘react’ with lemon balm, if at all. Certain thyroid medications, including sedatives, have been known to react poorly. Always perform some due diligence before commencing a treatment plan. How Else Can Lemon Balm Be Used? Because of its ingredients and properties, lemon balm is also used in different treatments. This includes everything from insect bites, to digestive issues. However, another interesting discovery is that it can help reduce stress and anxiety. Often, we associate flare ups with stress. It tends to weaken our immune system, making it easier for the HSV-1 to be activated. Taking lemon balm as a supplement regularly can help to fight back against stress. We may never be able to get rid of the stressors in our lives completely, but finding a natural solution that can help in some way is a really good start. Understand that cold sores cannot currently be fully cured. Once you’ve contracted HSV, it will be in your body forever, unless science finds a cure for the herpes virus. 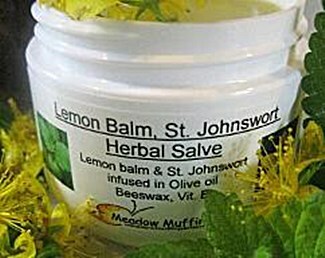 Not only is lemon balm proven to reduce healing time, redness, swelling, and pain, but it may be able to stop cold sores from returning. That isn’t to say you’ll never experience a flare-up again. But, having a ‘line of defense’ on your side is a great way to reduce that risk. Because lemon balm is safe, natural, and easy to use, you can take/use it as a prevention method. Some people are more prone to cold sores than other. Applying lemon balm daily may be able to keep you free from cold sores. Not only will it help to prevent drying and cracking, but it will stop the virus from penetrating through the top layer of skin. That’s one of the reasons that so many people get cold sores when the skin has been damaged by direct sunlight. No one wants to get cold sores, but they’re now a part of your life that must be managed. Using a natural treatment that is safe for everyday use can lessen the symptoms, leaving you feeling better than you did during earlier outbreaks. It’s hard to go wrong with an herb that has been healing people all over the world for centuries, but there are other over-the-counter cold sore medicines that work. We recommend that you find out more. Does Vicks VapoRub Work for Cold Sores?